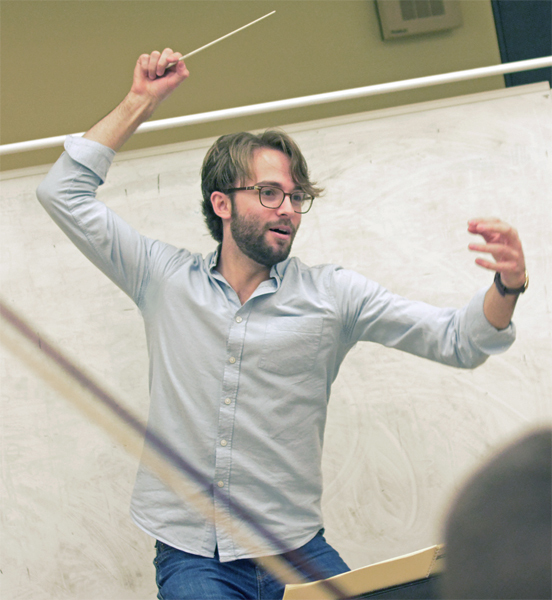 Jake Dorfman is a composer and conductor based in London. After achieving a BA honours in Music from the University of Liverpool in 2014, he won a scholarship to undertake an MMus in composition at the Guildhall School of Music and Drama, studying composition with Laurence Crane and conducting with Tim Redmond and Jack Sheen. Shortly after enrolling at the school in autumn 2016, Jake founded the Sundial Chamber Orchestra, an ensemble of Guildhall students that specialises in 20th/21st century music. Their debut concert in March 2017 included the concert premier of Julian Philips’ Maxamorphosis, along with music by Takemitsu, Britten and Janacek. 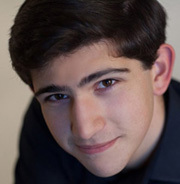 Recent performances of Jake’s music include his two-piano piece Schumann in the Asylum (September 2016), performed by Seung-Ju Lee and Michael Sikich at the Milton Court Concert Hall, and his Short Songs on Liberty, performed by Mimi Doulton (soprano) and Ben Smith (piano) at the Silk Street Music Hall. Another song cycle - Girl with Roses: reflections on a painting by Lucian Freud - will premiere at the Courtald Gallery in May 2017. 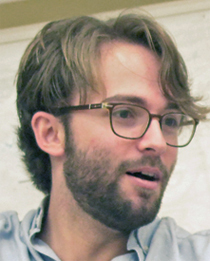 In addition to his music for the concert hall, Jake has written several works for theatre; he was commissioned by Youth Music Theatre UK to compose musical adaptations of The Crucible (August 2016), and The Time Machine (April 2015), and was also commissioned by Oldham Theatre Workshop to write a new piece titled Degenerate (March 2015).